This creamy, slightly tangy topping is delicious! Perfect for angel food cake, crepes, pancakes, and pie filling. 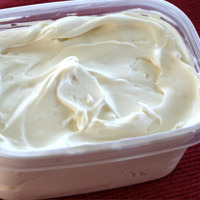 Make or purchase mascarpone. 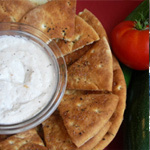 Drain plain yogurt or purchase Greek Yogurt. 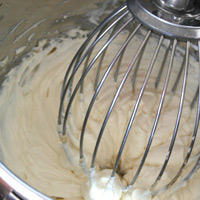 In a bowl of an electric mixer, add yogurt, mascarpone and sugar. Beat on high 30-60 seconds. Add vanilla and beat until combined. 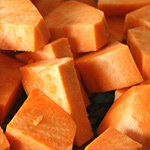 Use immediately or transfer to an airtight container and refrigerate until needed. For best taste and texture, don't over-beat. Beat only until soft peaks form. 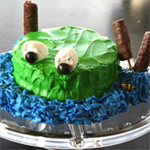 If stiff peaks form, it starts to take on whipped cream taste. This is great of course for whipped cream, but takes away from the great taste here. Best used within 2 days. 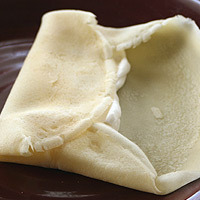 To fill crepes, spread 3-4 T down the middle of the crepe. 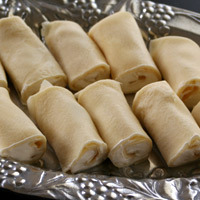 Fold 1/2 inch of the ends in overlapping the bottom and top of the filling. 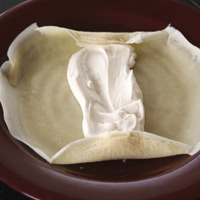 Fold one side over, covering the filling. 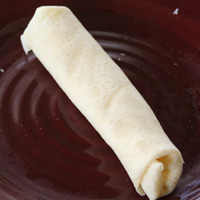 Roll to securely close the crepe. 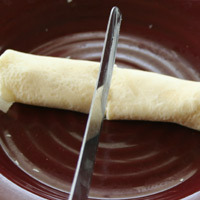 Using a serrated knife, cut the crepe in half. 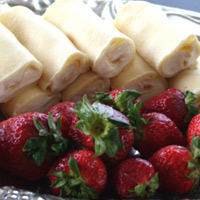 Transfer to a serving tray and repeat with remaining crepes. Refrigerate up to 4 hours. 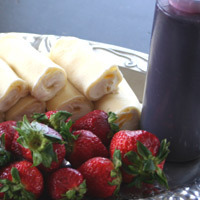 Serve chilled or at room temperature with fresh fruit and berry syrup! 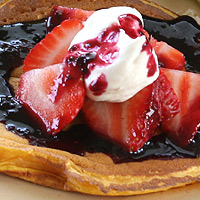 I wouldn't recommend substituting yogurt for the drained or greek yogurt, the topping will be too thin. 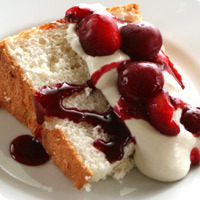 Cream cheese is an acceptable substitution for the mascarpone. It's not as good, but easier to find. 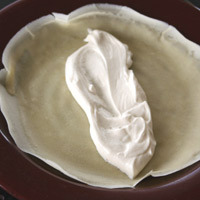 For a richer taste use creme fraiche in place of the drained yogurt. It is delicious! 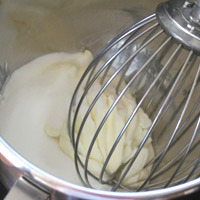 In a bowl of an electric mixer, add yogurt, mascarpone and sugar. Beat on high (1)30-60 seconds. Add vanilla and beat until combined. 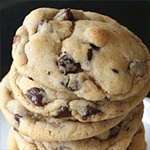 Use immediately or transfer to an airtight container and refrigerate until needed. Best used within 2 days. 1. For best taste and texture, don't over-beat. Beat only until soft peaks form. 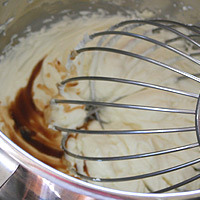 If stiff peaks form, it starts to take on whipped cream taste. This is great for whipped cream, but takes away from the great taste here.